A boat carrying two dozen migrants from West Africa was rescued off the coast of northern Brazil, officials from the state of Maranhão said. 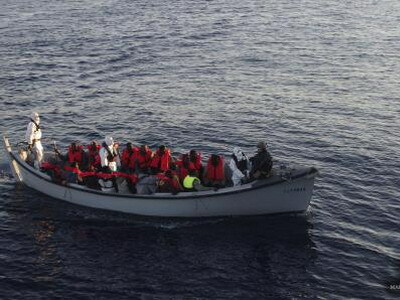 A fishing boat found the drifting vessel with 27 people aboard, including migrants from Senegal, Nigeria, Guinea, Sierra Leone and Cape Verde, along with two Brazilians, the state government said in a statement. Some were suffering from dehydration. Brazilian newspaper Folha de S. Paulo, citing a Federal Police officer, said the rescued Brazilians were arrested for human trafficking. The official, according to Folha, said the migrants paid to be illegally transported to Brazil. Federal Police did not immediately comment on the matter. Brazil’s navy said in a statement it had opened a probe, but did not comment on arrests. The boat had been at sea for five weeks, said Folha, citing the Federal Police.